Temperate rainforests. Glacier-topped mountains. Rugged coastline. Any one of these features makes an impressive landscape. Olympic National Park has them all. 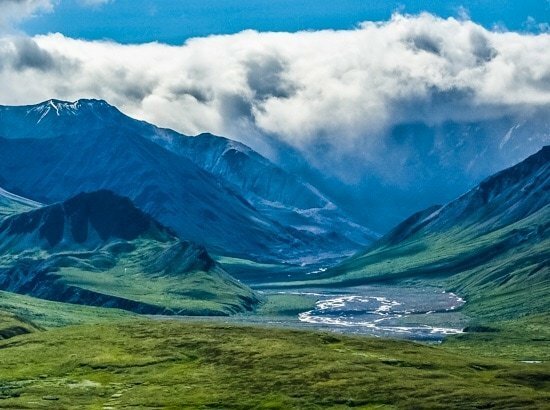 Here, in the vast Olympic wilderness you can take a gentle stroll along the beach, a long hike through the forest or a strenuous climb to the top of glacier-covered mountains. The diversity found in this park is truly astonishing. There really is something for everyone, regardless of your interests. As one of the largest wilderness areas in the contiguous United States, you’ll find much of the park is not accessible by car. Indeed, unlike many other parks, there is no road leading all the way through. Thankfully, though, that does not mean that the park is difficult to visit. It just takes some time, especially if you want to see all of the different ecosystems, which you should. With limited time, choose just one or two areas of the park. Unless you are looking to do some major hiking, you can explore each of the various areas in about half a day. Of course, there is plenty to keep you busy for longer, but if you are short on time you can still enjoy your visit. 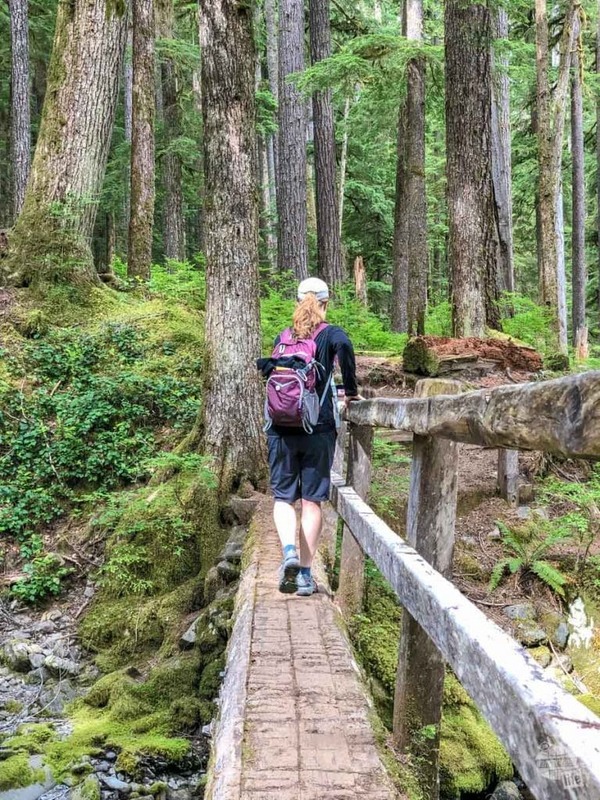 Since roads through the park are limited, the best way to explore Olympic NP is by hiking. Don’t panic if you are not an avid hiker, though. We found many short and easy day hikes that anyone with standard mobility can enjoy. 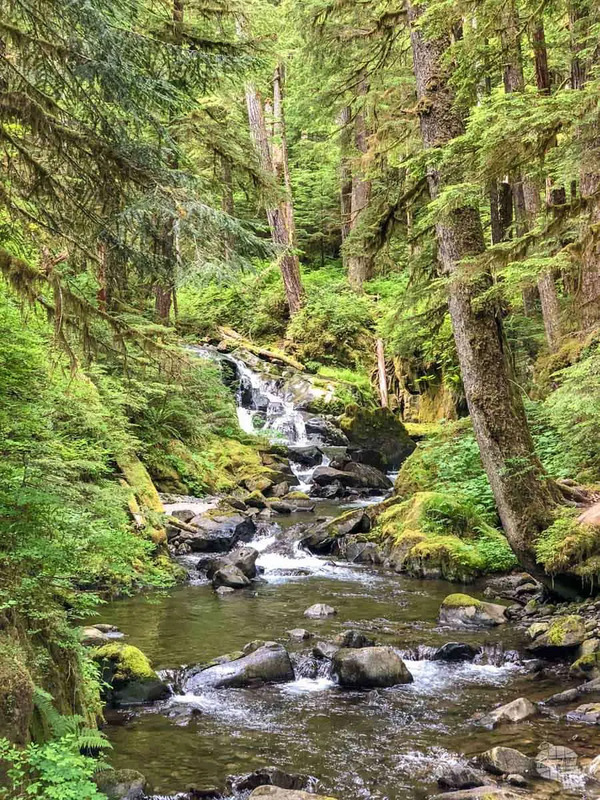 A cascading creek which flows into the Sol Duc River. Olympic NP is located less than three hours west of Seattle. The town of Port Angeles houses the main Visitor Center and makes a good base for visiting the northern part of the park. 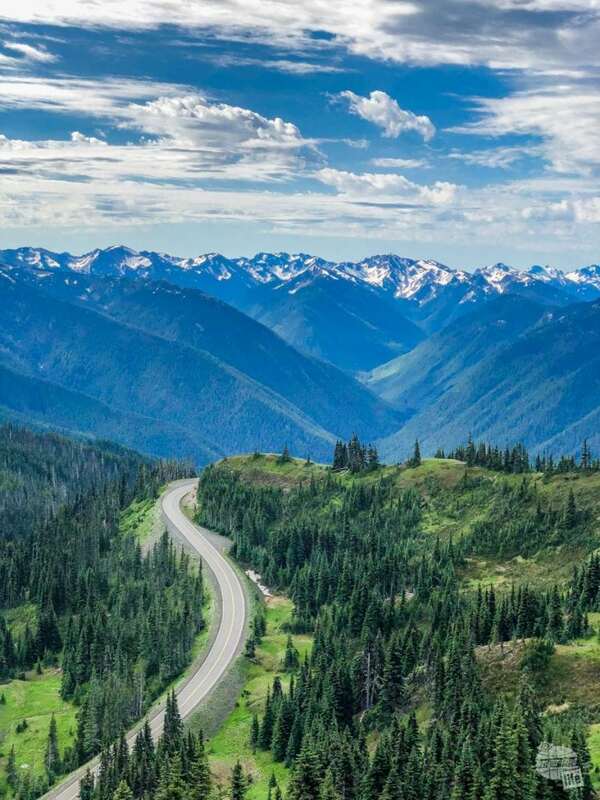 US Highway 101 circles the entire Olympic Peninsula and is a fabulous drive itself. If driving from Seattle, I would definitely suggest making a point to drive down to Olympia and then up Hwy 101 along the coast. This is not the most direct route, but it sure is scenic. Several roads spur off Hwy 101 taking you into the park. The most popular areas are on the north and west side. I would definitely suggest starting your visit at the main visitor center in Port Angeles. If possible, arrive in Port Angeles the day before you really want to start exploring the park. Stop at the visitor center that afternoon to get a map, watch the park’s video and gather information for your visit. 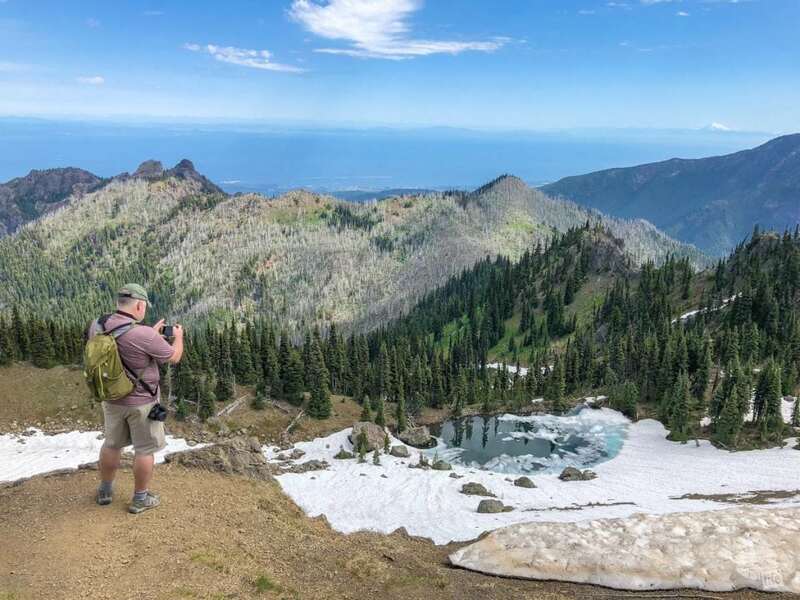 In addition to the official park map and newsletter, we picked up Falcon Guides’ Best Easy Day Hikes for Olympic National Park. This small, easy to carry book provided us with five days worth of day hiking throughout the park. If you want mountains, head to Hurricane Ridge. Located just south of Port Angeles, this is one of the most popular areas of the park, so arrive early. In fact, the parking lot often fills up by mid-morning in the summer. There is a visitor center at the top, so if you didn’t make it to the one in Port Angeles, you’ve got another opportunity. The shop downstairs is one of the best places to find souvenirs in the entire park. From the parking lot and visitor center, you are surrounded by amazing mountain views. If you want to stretch your legs a bit, there is a network of mostly-paved trails opposite the visitor center. We spent about an hour walking these trails and checking out the views in all directions. 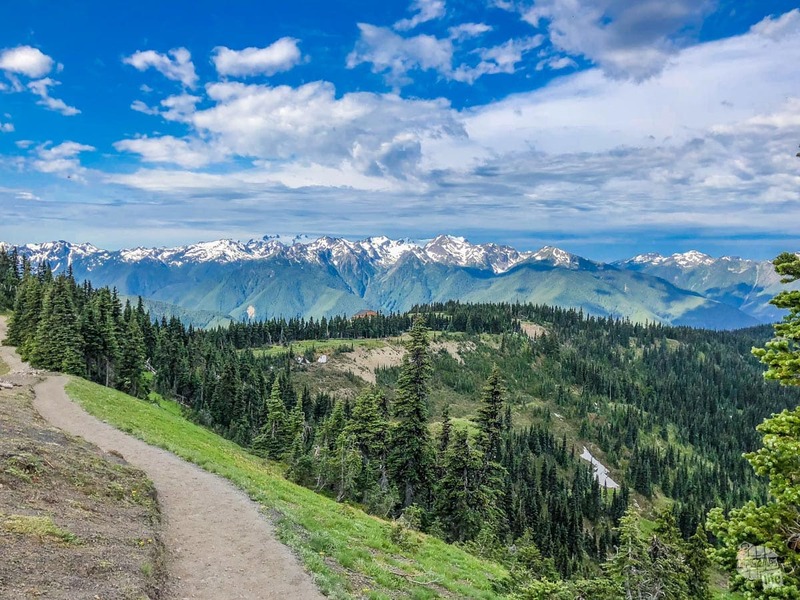 This short trail system is a must-do for anyone stopping at Hurricane Ridge. You can choose your path depending on your mobility and how much time you have. 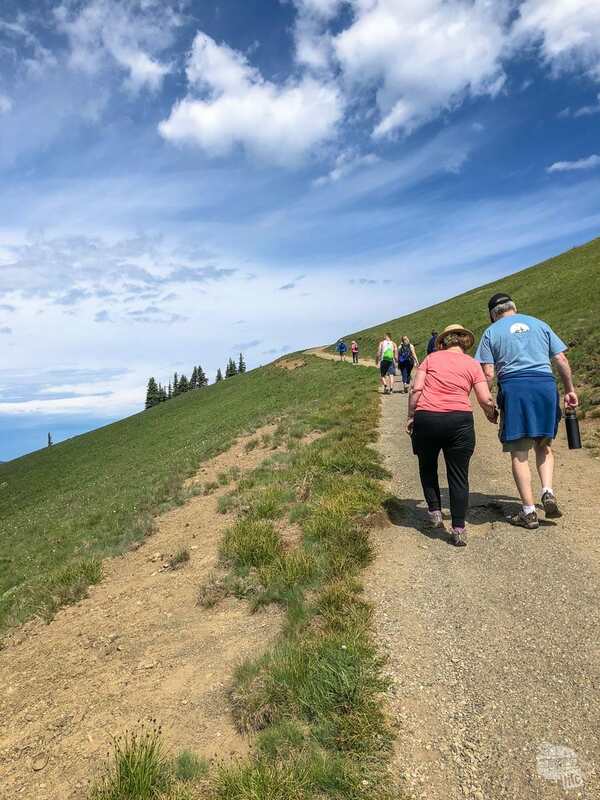 If you are looking to get your heart rate up a bit, take the Hurricane Hill trail for some of the best views around. I will warn you, while this hike is included in the Best Easy Day Hikes book, I’m not so sure I would consider this an easy hike. It is advertised as a three-mile hike with about 650 feet of elevation change. Due to construction, we had to park farther away. My Apple Watch measured this as 4 miles and just over 800 feet of elevation change. Still, it was DEFINITELY worth the effort! The first half-mile or so really isn’t too bad. Once you start the uphill, though, you’re going to feel it. There are plenty of amazing views to stop and take-in (or take pictures of), so you’ll have plenty of excuses to rest and catch your breath. As we got closer to the top, we saw a lot of deer and Olympic marmots, a species found only on the Olympic Peninsula. Seriously, they were everywhere. And they were definitely used to people. Still, don’t try to get too close or do anything crazy! 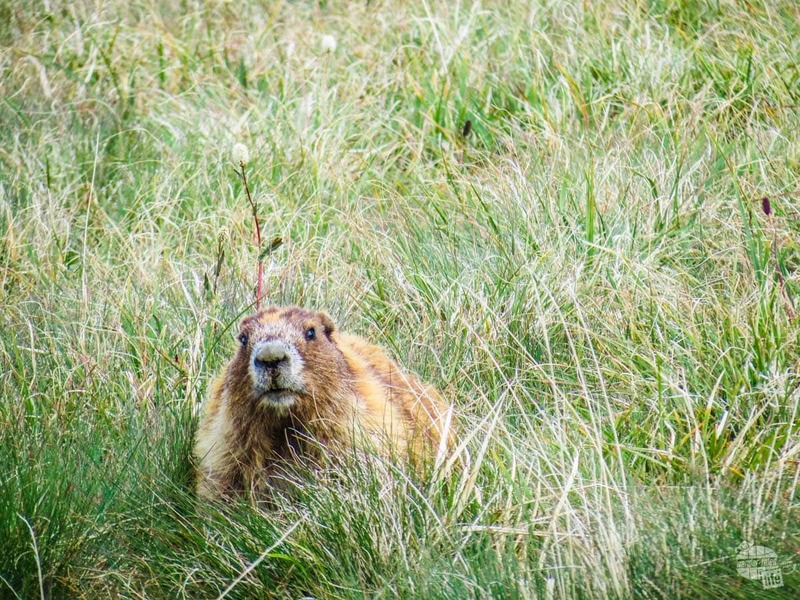 One of the unique species found on the Olympic Peninsula is the Olympic Marmot. Once at the top, you’ll be gazing at mountaintops all around. To the north, you can see Port Angeles and the Strait of Juan de Fuca. After that climb, you’ll be more than ready to spend some time taking in the sights and enjoying the views! Thankfully, the hike back is all downhill. We spent about two hours on this hike, which included quite a bit of resting and picture-taking. Again, be sure to arrive early as there is limited parking and it will fill up in the summer. About 30 minutes west of Hurricane Ridge is 624 feet deep Lake Crescent. The lack of nitrogen in the water limits the growth of algae, resulting in crystal clear water. 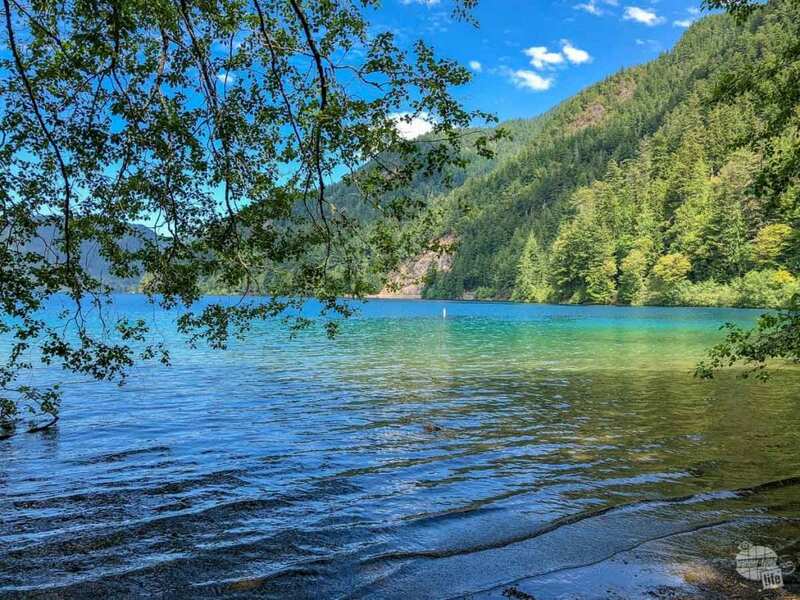 At Lake Crescent, you’ll find a lodge, a campground, a small store, picnic areas and hiking trails. Boat launches are found on both the west and east ends of the lake. The Lake Crescent Lodge rents canoes, kayaks and paddleboards. We had limited time here but would love to explore this area more if we return. We spent our time hiking to Marymere Falls. The trail begins at the Storm King Ranger Station, just off Hwy 101. Unfortunately, this station is only open intermittently, so don’t rely on it for trail information. 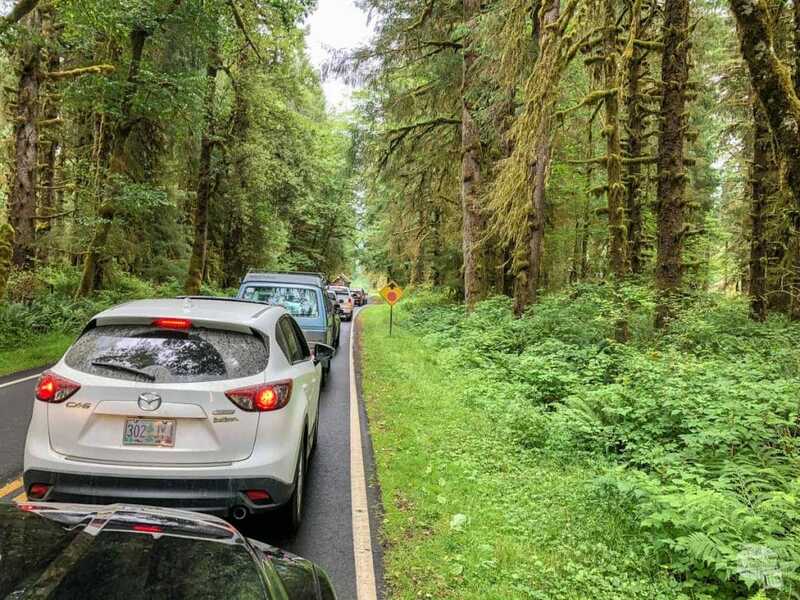 As with many places in Olympic National Park, parking can be difficult later in the day. Arrive early or be patient. The vast majority of this hike is very level and accessible to just about everyone. We even saw someone on a motorized scooter enjoying the first part of the trail. As you start the hike, you’ll pass by the lake, offering some fabulous views of the blue-green water. The trail then crosses under the highway before entering an old-growth forest. The tall trees provide nearly full cover, making this a great hike on a warm afternoon. At about 3/4 mile, you’ll pass over a log footbridge, then the short uphill climb starts. There are actually two viewing areas for the waterfall and a short loop to both, so you don’t have to backtrack. While the uphill will get your heart rate up, it was not long or extremely difficult. The slender 90-foot waterfall may not be the most spectacular display you’ve ever seen, but it is pretty. The algae growing on the rock is certainly something you don’t see often. This two-mile hike took us about one hour. The day hiking book indicates an 80-foot elevation gain, but our watches measured about 250 feet. I think that perhaps one of the viewing platforms was added after the book was written. 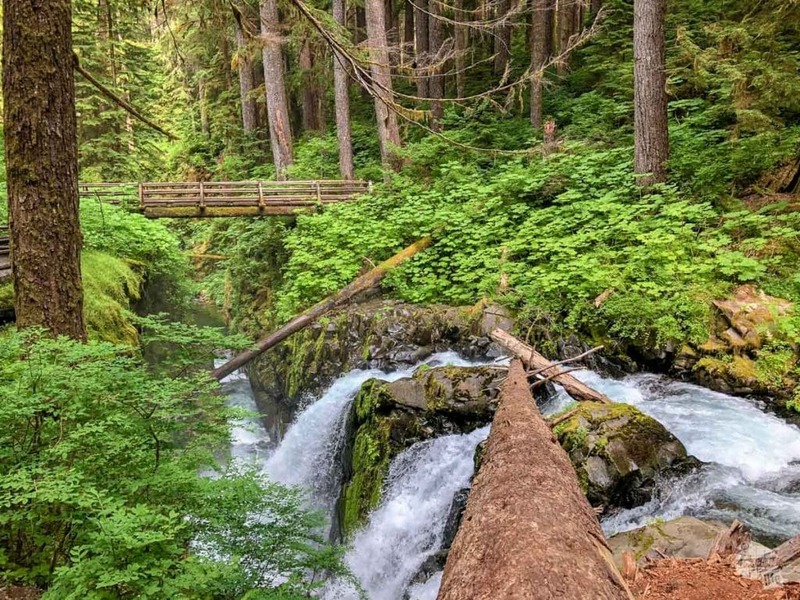 Continuing west from Lake Crescent, the next area of the park is Sol Duc, where you will find an old-growth forest, the Sol Duc River and the Sol Duc Hot Springs Resort. This remote area of the park is a great place to get away, do some hiking and relax. One of the highlights here is Sol Duc Falls. 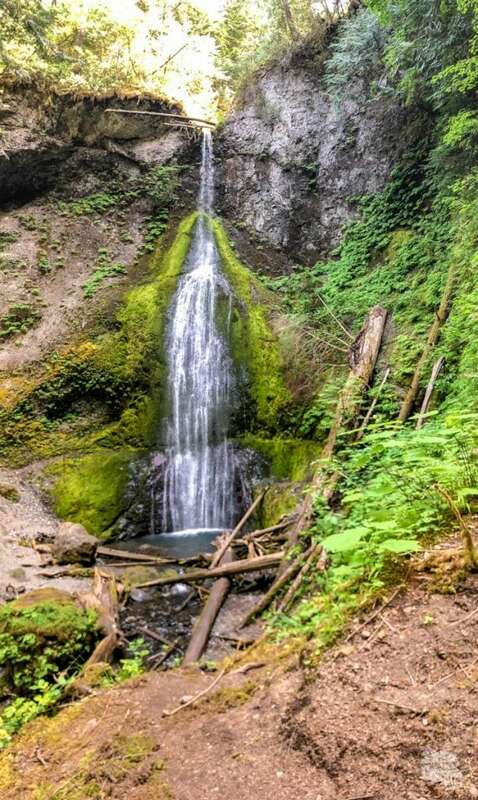 This waterfall may not be tall, but it is unique in that it spills over in three sections. The falls can be accessed by a fairly easy 3/4 mile trail from the trailhead parking lot. While the terrain is varied, most anyone should be able to navigate this trail. For those interested in a longer hike, consider the 6-mile Lover’s Lane Loop Trail, which is what we chose. Our guide suggested starting at the resort, but we had difficulty finding the trail, so we started from the trailhead parking at the end of the spur road (about two miles past the resort). From the parking lot, you’ll first reach the waterfall, then loop back towards the resort and finally make your way back to the parking lot via the campground trails. This trail really provides a good look at the balance between the rainforests of the western side of the park and the rain shadow area to the east. Along the trail, you’ll find nearly everything is covered with moss, from trees to logs to rocks. Mushrooms are another common site, growing in a variety of shapes and sizes. All along the trail, I was fascinated by the moss, mushrooms and other plants of the forest. There is very little elevation change along this trail, making it not too strenuous. The roots and rocks along the path, combined with the length, however, make the hike a bit more difficult than you might expect. Still, the trail is very doable for anyone who is active and has average mobility. 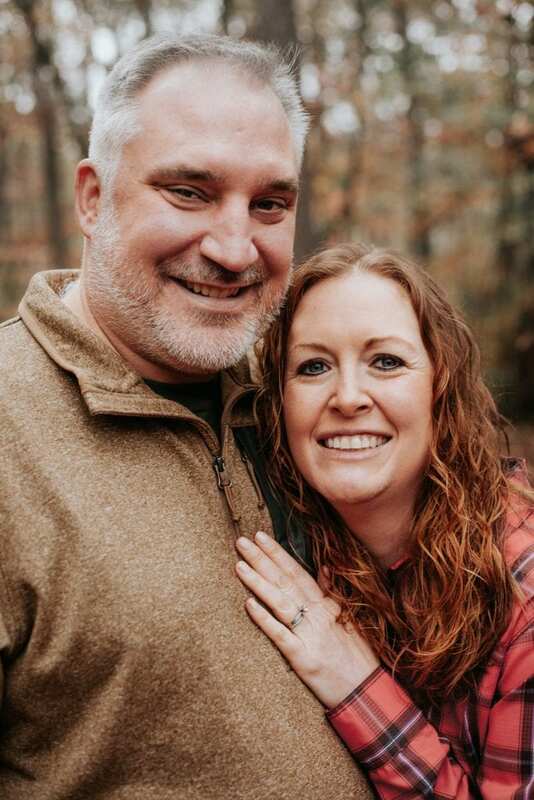 Bonnie hated the bridges with a guardrail on one side, clutching with both hands all the way across. If starting the hike at the resort, you’ll find the trailhead on the opposite side of the parking lot from the lobby and pool area. Alternately, you could hike through the campground and to the waterfall first, then loop back to the resort. This would definitely save the best part of the hike for last. This hike took us about three hours. 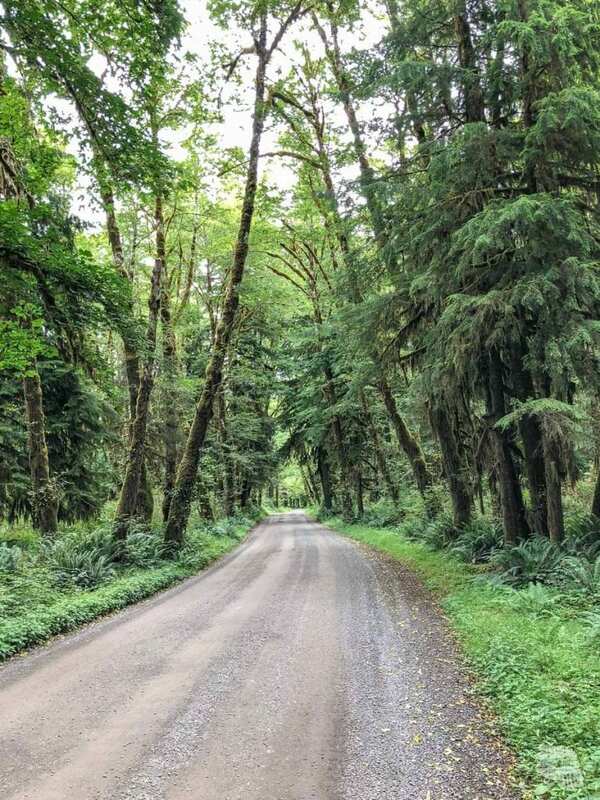 Further south along Highway 101 you find access to the rain forests of Olympic National Park. 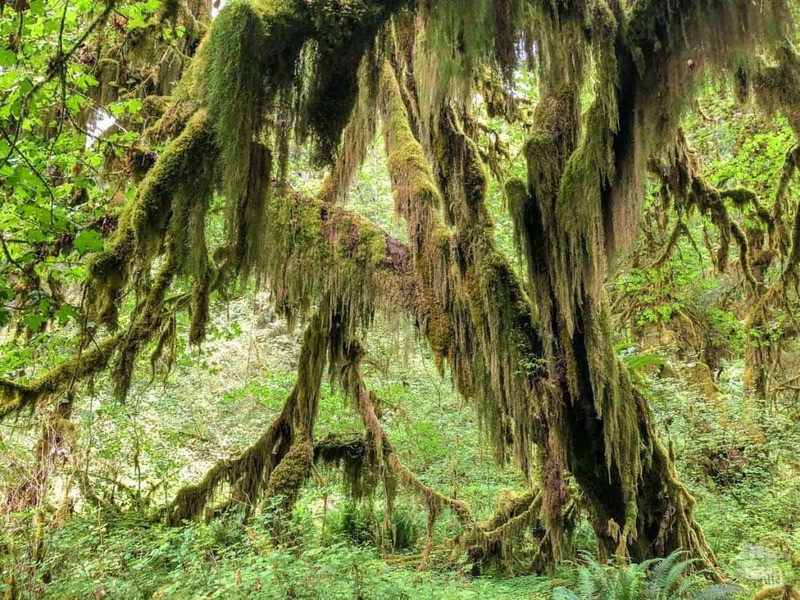 First, the Hoh Rain Forest, less than an hour from the town of Forks. 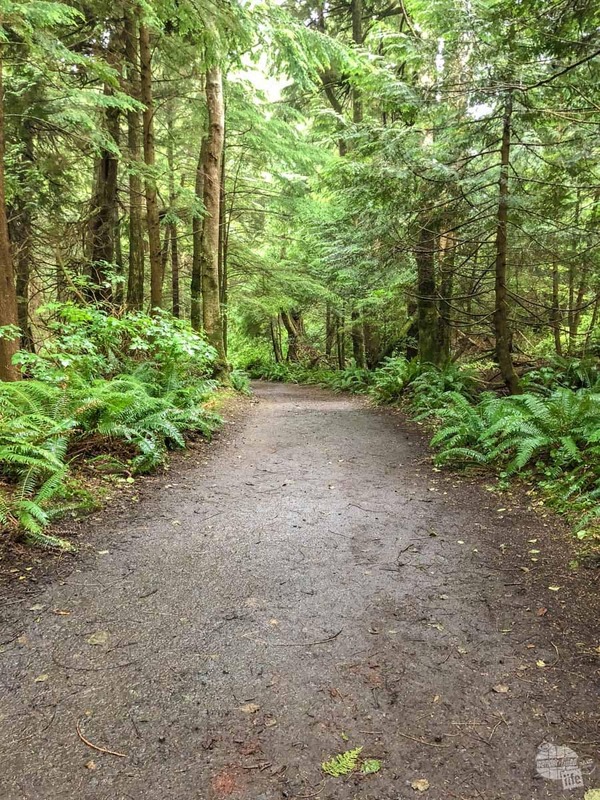 While Forks is much smaller than Port Angeles, it still makes a great base for exploring the western side of the park. 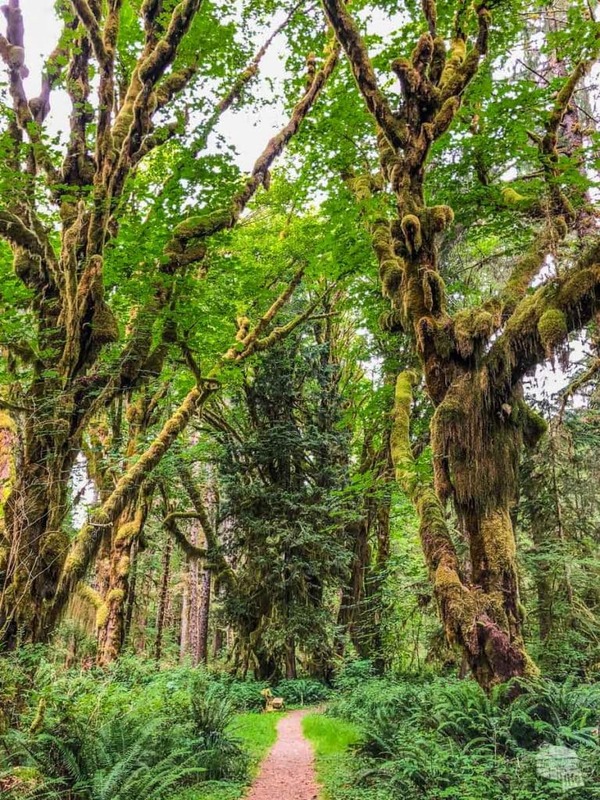 The Hoh Rain Forest, which gets 12-14 feet of rain annually, is one of the largest temperate rain forests in the United States. Here you’ll find nearly everything covered in ferns and mosses, creating an almost otherworldly landscape of lush greenery everywhere. There is little doubt as to why this is one of the most visited areas of the park. Indeed, we arrived early/mid afternoon and there was a backup to get into the park. Since there is only one way in, the rangers do monitor the parking lot and once it is full only let cars in as others leave. We waited in line for about 20 minutes at the entrance gate, so arrive early in the day if you are short on time. Once the visitor center area fills up, the park service starts only allowing a car in when one leaves. It made for a brief wait to get into the Hoh Rainforest area. 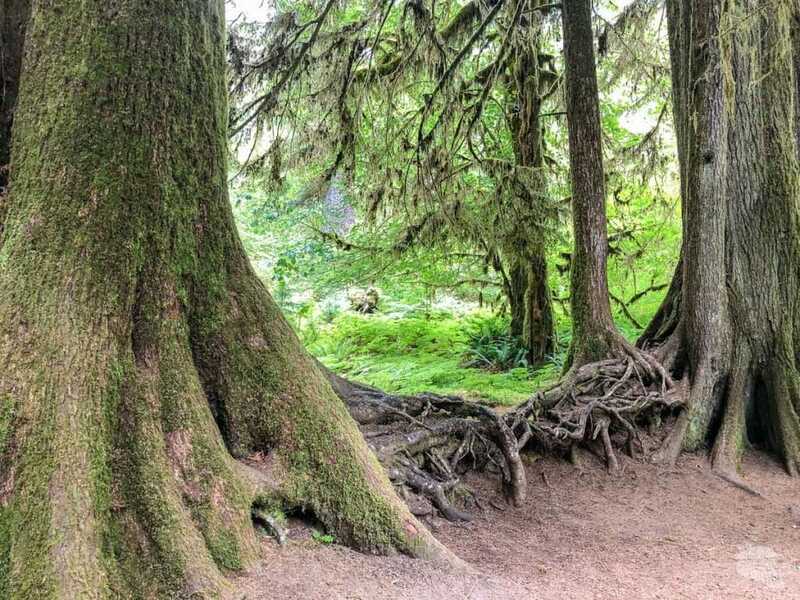 At the Hoh Rain Forest, you’ll find a small visitor center, a couple of short nature trails and the 17-mile Hoh River Trail. You could definitely see the highlights of this area in an hour or two. Those interested in hiking longer distances could easily spend a full day or more here. 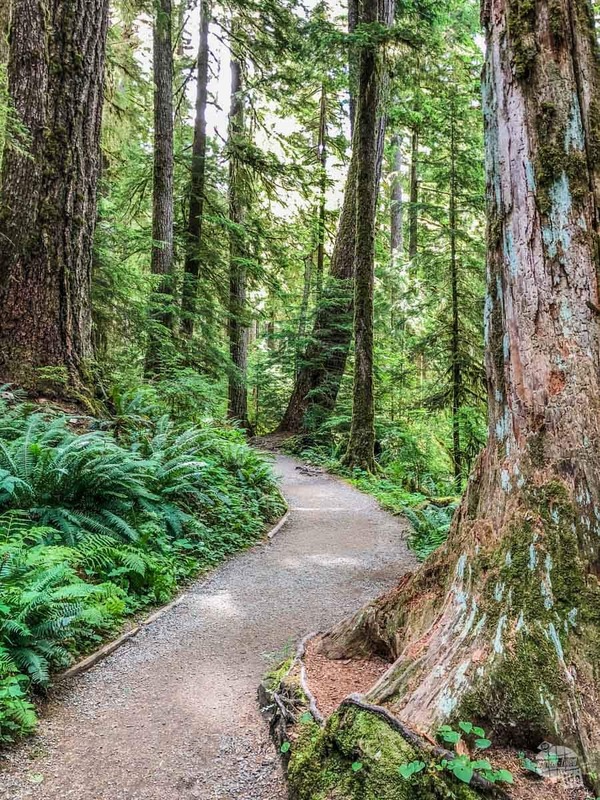 If you do nothing else at the Hoh Rain Forest, you must walk the Hall of Mosses Trail. 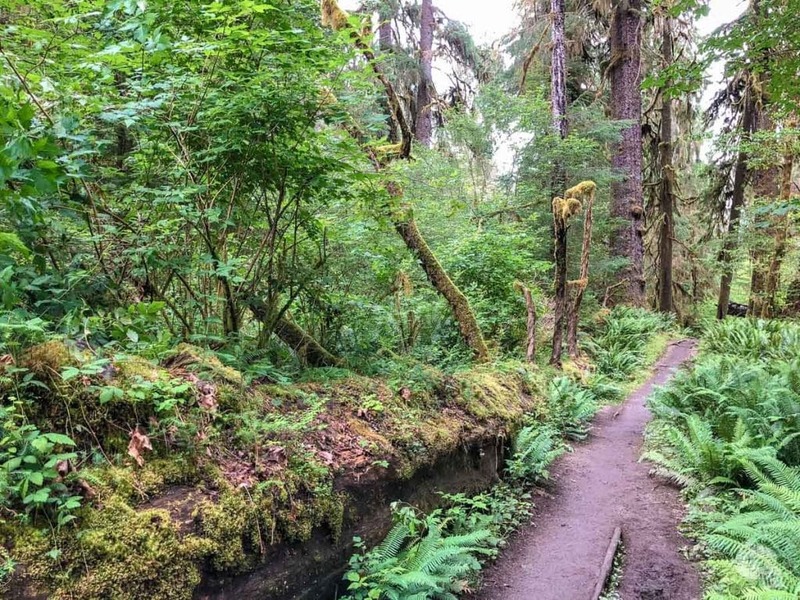 This relatively easy 0.8-mile loop trail showcases the enormous trees (especially big leaf maples) of the old-growth forest and the hanging mosses of the rainforest. 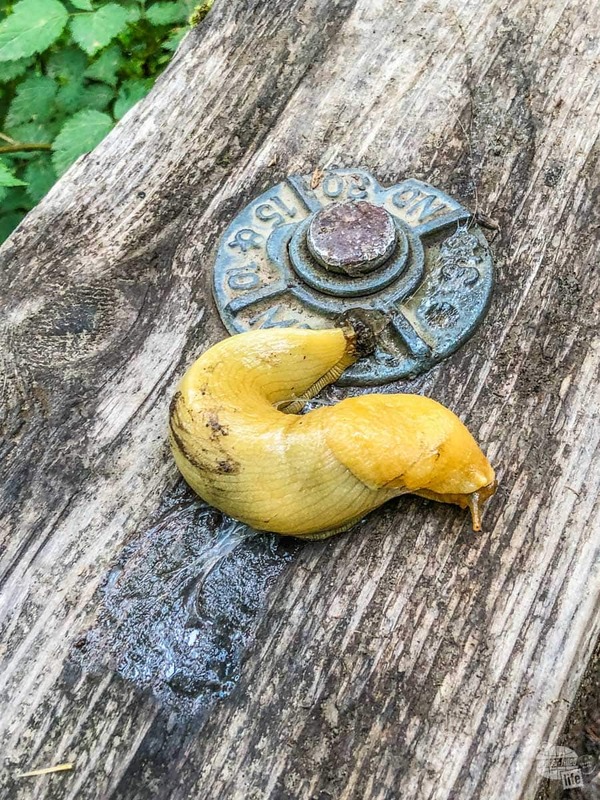 You’ll also likely spot a few banana slugs, so watch your step! There were banana slugs all over the place on the west side of the Olympic Peninsula. The trail starts just behind the visitor center and begins by crossing a crystal-clear spring before a short uphill climb. The rest of the trail is relatively flat and easy to navigate. One of the most fascinating facets of the forest here is the circle of life among the trees. As you walk the trail, look for “nurse logs,” the dead and downed trees that support new life of just about every kind. The Hall of Mosses is aptly named. There are so many large trees covered in moss. I would expect to spend at least 30 minutes on the Hall of Mosses Trail. Opposite the Hall of Mosses is the Spruce Nature Trail, which tracks closer to the river through a large stand of Sitka spruce. Here, you’ll again find mosses, ferns, nurse logs and other rainforest plants. The roots growing together are evidence of a nurse tree, a fallen tree these two trees grew out of and used for nutrients. One of the most enjoyable aspects of the Spruce Nature Trail is that it is much less crowded than the Hall of Mosses. At 1.3 miles, it is a little longer but no more difficult. If anything, it is flatter and easier to navigate. If you have time, I definitely suggest you hike both of these short nature trails. 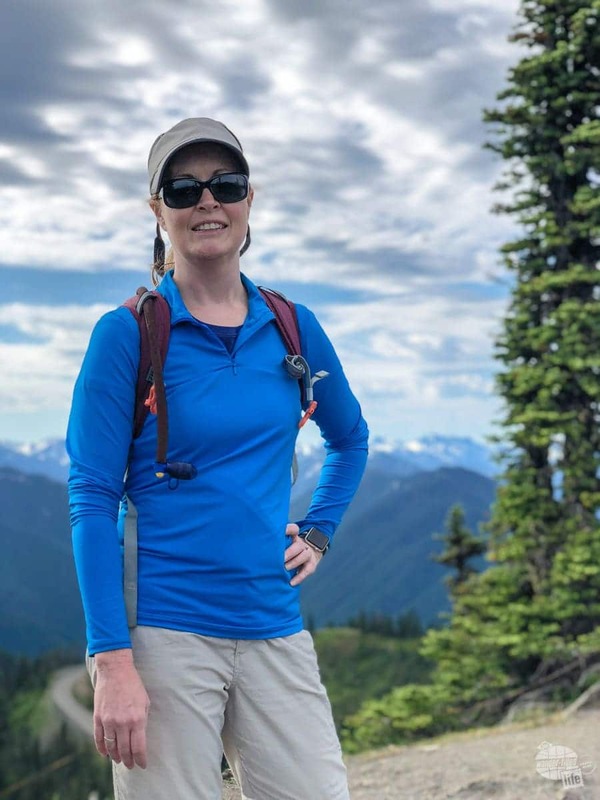 If you are looking for a longer, but still easy hike, take on the Hoh River Trail. Backpackers can spend several days hiking and camping along this 17-mile trail to Glacier Meadows. The good news is that you can turn around at any point, making this a very nice day hike. We chose to hike just the first 2.5 miles to Mineral Creek Falls before turning around. Somewhat surprisingly, we found the first mile or so of this trail to be more crowded than the Spruce Nature Trail. Keep going, though, and the number of other hikers falls. The first part of the trail is wide and flat, but the farther you go the more difficult it becomes. Overall, though, the trail is only moderately strenuous. As you hike, you’ll see the now familiar moss-covered trees, ferns and nurse logs throughout the forest. You can also wander down to the Hoh River in various places. You’ll also likely see quite a few backpackers either heading out or returning. Right at 2.5 miles, you cross a small stream as you arrive at Mineral Creek Falls, on the left. This small waterfall makes a good landmark for a moderate day hike. Continue further if you’re really looking to spend the full day hiking. We spent a total of about 3.5 hours hiking 7.5 miles on the Hall of Mosses, Spruce Nature Trail and Hoh River Trail. Our total elevation change was about 600 feet. 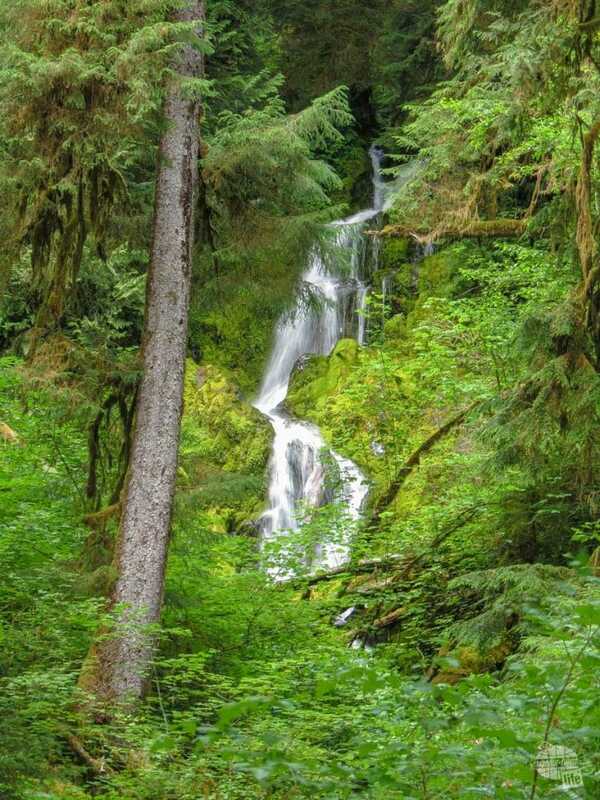 In the southwest corner of Olympic NP, the Quinault Rain Forest offers additional access to the temperate rainforest of the Olympic Peninsula. Here, you’ll find a lodge, restaurant, camping, hiking and lake access. South Shore Road passes through the Quinault Indian Reservation on the south side of Lake Quinault. This side of the lake is home to the lodge, campgrounds, a small store and several small neighborhoods. Continuing past the lake, the pavement eventually ends, but a dirt road continues along the river. Just inside the National Park boundary, a short bridge connects to North Shore Road, where you will find the few park-operated facilities. Near the end of North Shore Road, you’ll find the trailhead for several hikes, including Irely Lake. 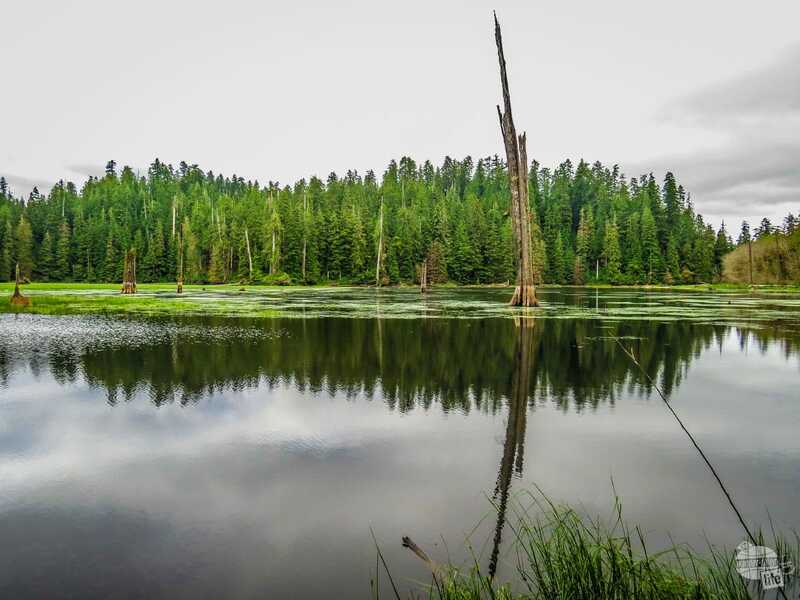 This 2.2-mile out-and-back hike offers a bit more of a challenge as you make your way to remote Irely Lake. Again, you’ll find ferns and mosses growing on almost every surface, creating a green blanket of life. Salmonberries and huckleberries are also common near the lake. As this is not a widely-traveled path, the trail conditions were not as good as in many other parts of the park. There are definitely a few places that required a bit of scrambling or balancing. Additionally, several spots were soggy and muddy. Overall, though, this was not an overly challenging or difficult trail. While there are a few short uphill bursts, the overall elevation change was less than 300 feet and much of the trail was easy to navigate. We enjoyed the hike but were a bit underwhelmed when we reached the lake. I think if the skies had been a bright blue, rather than overcast, we might have felt different. Overall, it just felt a bit swampy and dreary. Still, this is a worthy hike, especially if you are looking for something with a bit of elevation change but not too demanding. Closer to the lake, along North Shore Drive, you’ll find a small (generally unstaffed) ranger station. From the parking lot, a level 0.5-mile trail loops through the lush rainforest beside Kestner Creek. The Kestner Homestead Trail forms a loop back to the visitor center through an amazing grove of trees. While the Maple Glade Trail is nice, the real treat here is the Kestner Homestead. There is a very small parking area right at the homestead site, but you might prefer to just walk from the ranger station. The Kestner Homestead dates back to 1891 and was occupied for nearly 100 years. Today, the park service is in the process of restoring the house, barn and a few other structures. You can wander through the homestead or even stop for a picnic. 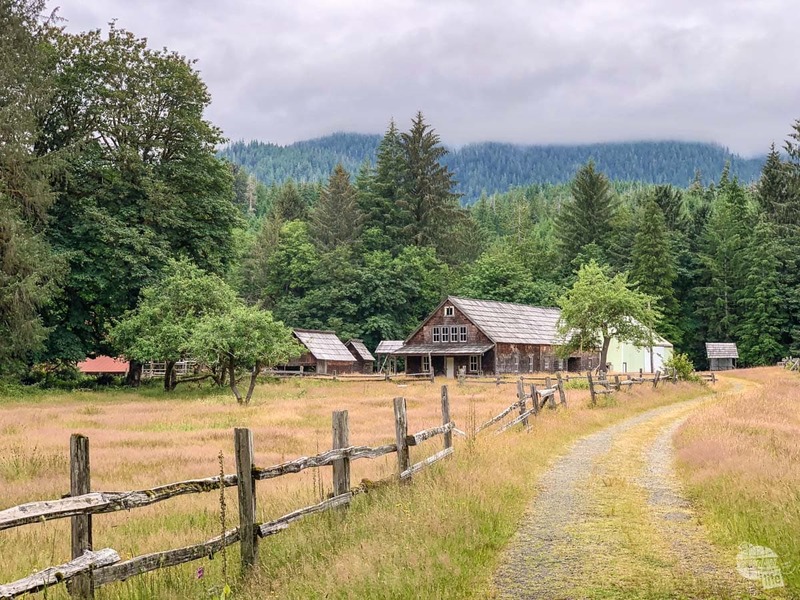 An easy 1.5-mile loop connects the homestead with the ranger station and nature trail. My Apple Watch tracked less than 20 feet of elevation change, so yes, I really mean easy! This small area was definitely the highlight of the Quinault Rain Forest for us. 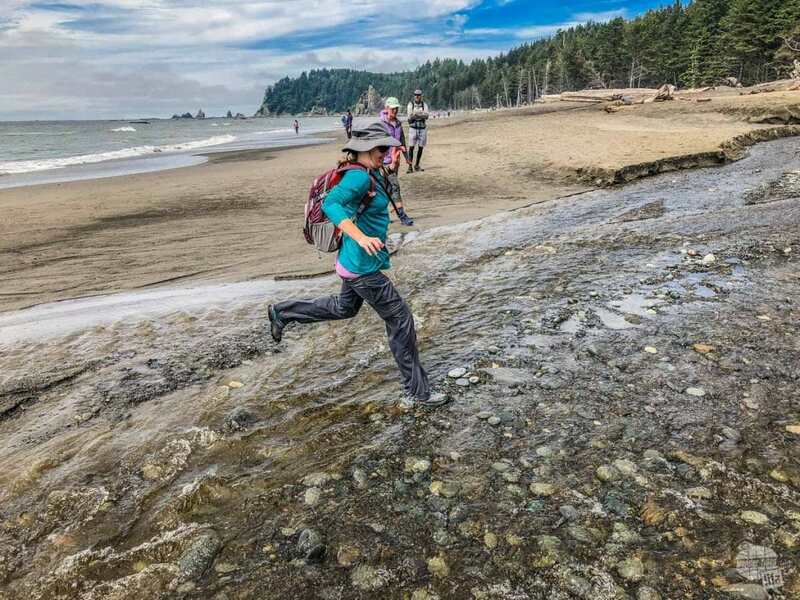 One final ecosystem within Olympic National Park is the coast. 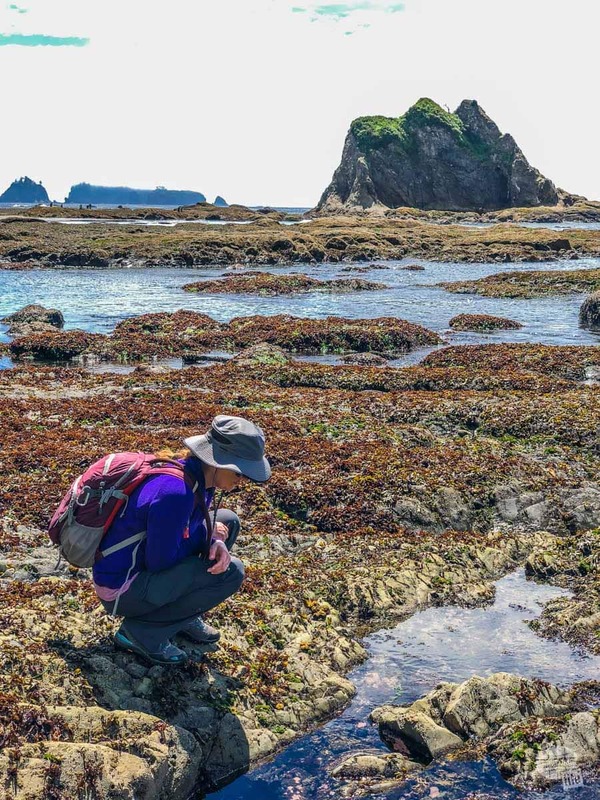 Here, the rivers meet the ocean, the waves shape the sandstone islands and the tide pools house an endless array of marine life. The diversity found along the 135-mile coastline alone is overwhelming. 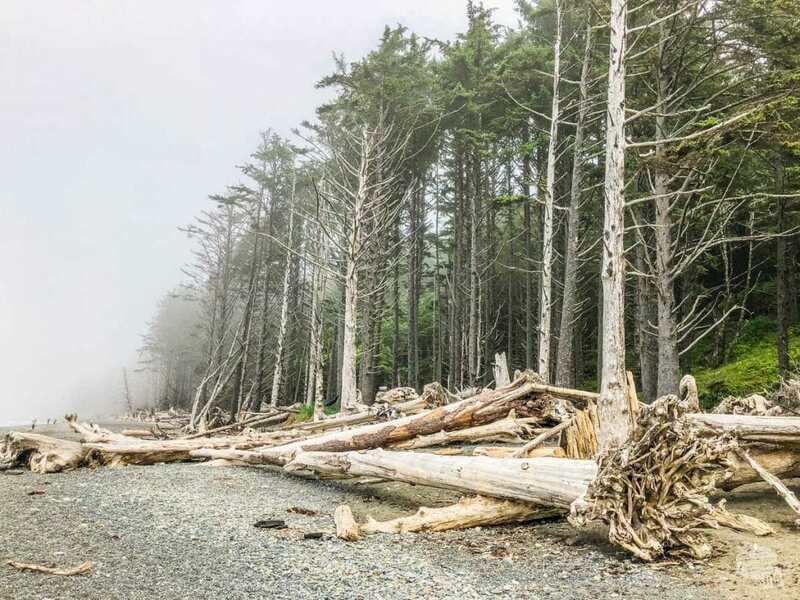 One of the most popular areas of the entire park is the stretch of Highway 101 running right along the coast from Ruby Beach to South Beach, near the Kalaloch Ranger Station. While you will find several beach access points here, the facilities are still extremely limited with only one small lodge. We stopped in the small convenience store briefly but otherwise did not spend any time here. I can tell you that if you are looking to spend time on the beach, the Kalaloch Lodge is really your only option. Again, we did not stay here, but the TripAdvisor reviews are very good. The ocean views from the road are fantastic. I could definitely be convinced to spend a few days relaxing here and enjoying the beach! You can book the Kalaloch Lodge here. Further north, just about 20 minutes west of Forks is the Mora area. From here, you can access Rialto Beach and the not-so-creatively named First, Second and Third Beaches. Note: these beaches are different from the other not-so-creatively named Beach 1, Beach 2, Beach 3 and Beach 4 at the Kalaloch area. It is important to note that the Quileute Indian Reservation runs through this area. The reservation land is accessible to the public, but please be mindful of their regulations. The rugged coastline of Washington means that many of the beaches here are only accessible by foot. Rialto Beach is one of the exceptions. Simply follow Mora road to the end and you’ll park right at Rialto Beach. From here, you can enjoy the beach which is littered with enormous drift logs. If you’re not really the sit-on-the-beach kind of person, a 1.5-mile walk north along the beach takes you to Hole-in-the-Wall. As the name indicates, here you will find a large rock right at the coastline that has been worn through by the waves. 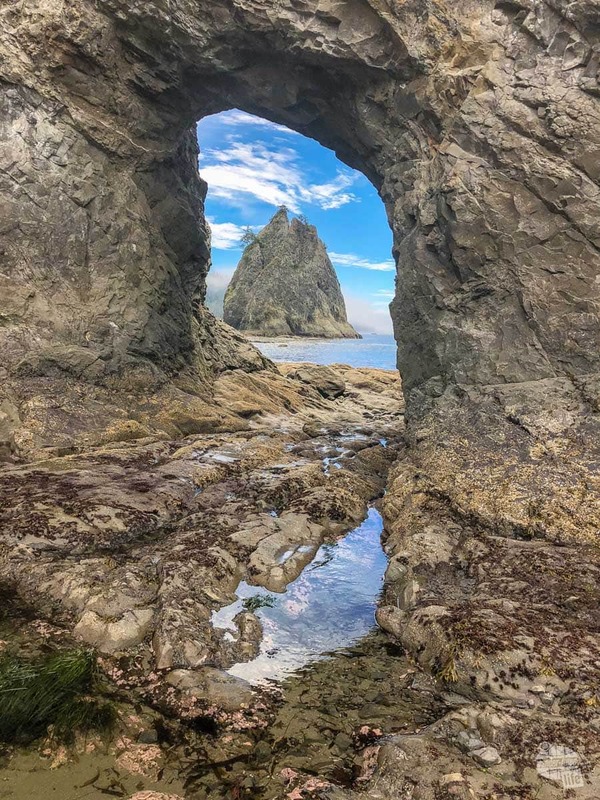 While Hole-in-the-Wall is accessible at any time, you can only walk through the hole at low tide. If you arrive at high tide, you will need to use the overland route along the shore to get to the other side. 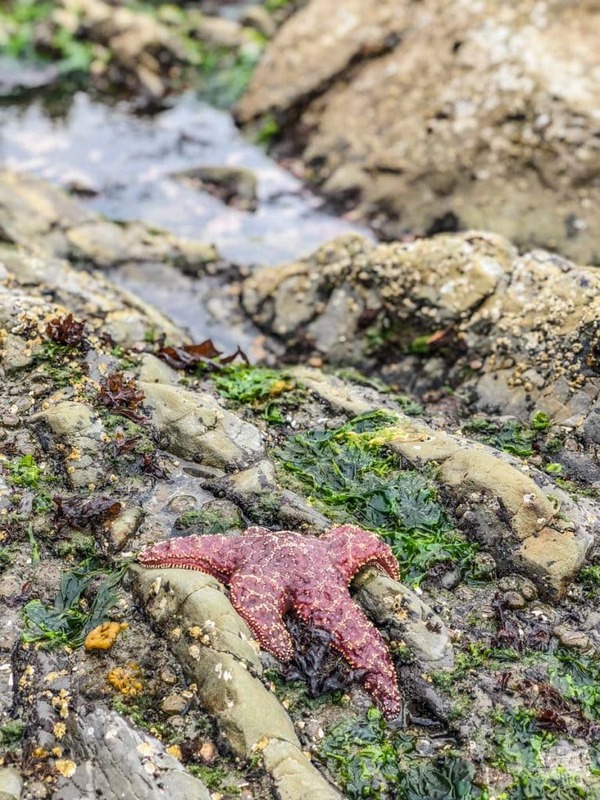 Because you’ll want to explore the tide pools, I definitely suggest timing your visit with low tide. You can find the tide charts posted at the Mora Ranger Station or online. On the “other side” of Hole-in-the-Wall, the terrain gets a bit rockier and more difficult, so this is definitely a great place to turn around. And, while the beach is flat, the pebbles and sand are quite soft in some places, making the walk somewhat difficult at times. It took us about two hours to walk out to Hole-in-the-Wall and back, including some tide pool exploration along the way. Add additional time if you want to sit and enjoy the views, which I definitely suggest! Access to Second Beach is only by trail. 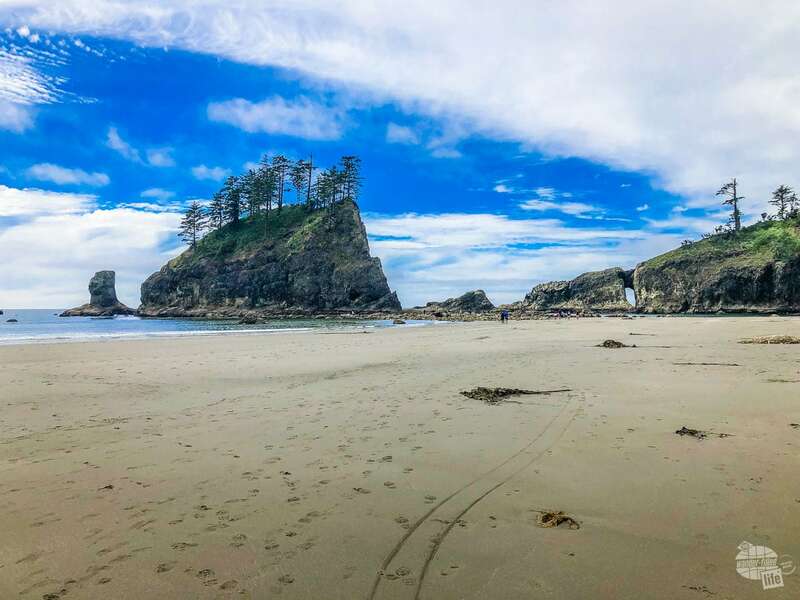 From the parking lot along La Push Road, a 3/4-mile trail takes you down to the beach. If you are looking to spend a day here, just keep in mind that you’ll have to carry all your stuff down and back up the trail. Most of this trail is relatively flat and easy, but the last 1/4-mile or so is fairly steep. Also, you’ll have to do a bit of scrambling over large drift logs to actually get onto the beach and access the water. We found a few starfish hanging out under rocks and this guy out in the open. We spent our time here exploring the tide pools, which were teeming with sea life! Our most common finds were invertebrates, including sea anemone and sea cucumbers. We also found a quite a few starfish. This was my first time finding starfish in the wild, so I was pretty excited! An hour was enough time for us to hike down, explore the tide pools and hike back up. If you want to walk along the beach or just enjoy the day on the sand, this is definitely a great area for an extended stay. There is even a large tent area if you are interested in camping on the beach. While not part of Olympic National Park, we just couldn’t resist taking a couple of hours to visit Cape Flattery, the northwesternmost point of the contiguous United States. 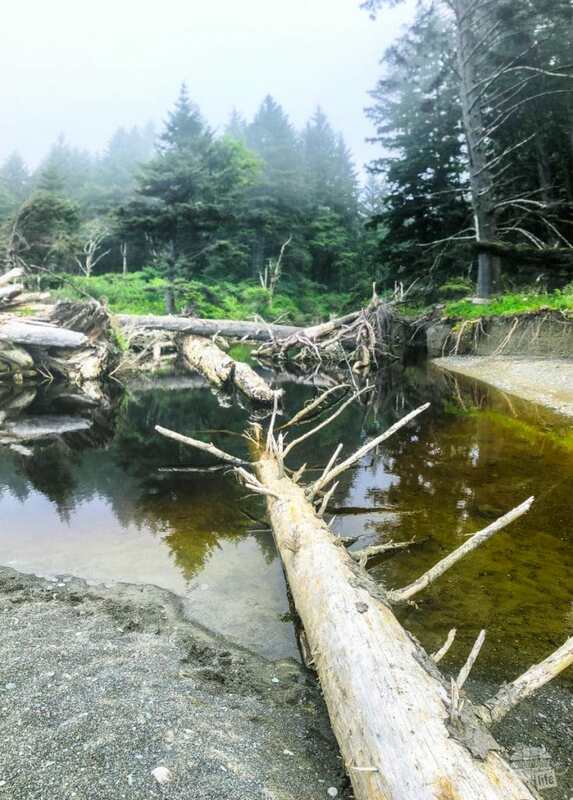 Located on the Makah Indian Reservation, you will need to purchase a Recreational Use Permit. As you enter the town of Neah Bay from Hwy 112, you’ll see several signs regarding the regulations and where you can purchase the $10 per car permit (we got ours at the general store). The permit is good for the entire calendar year. When you get the permit, you’ll also get a map and driving directions to the trailhead. The road is also very well-marked. From the parking lot, it is about 3/4-mile to the coastal landmark. The trail is a combination of boardwalk and dirt trail through a heavy forest. As you approach the end you’ll find several observation points, each of which offers a view of the dramatic coastline. 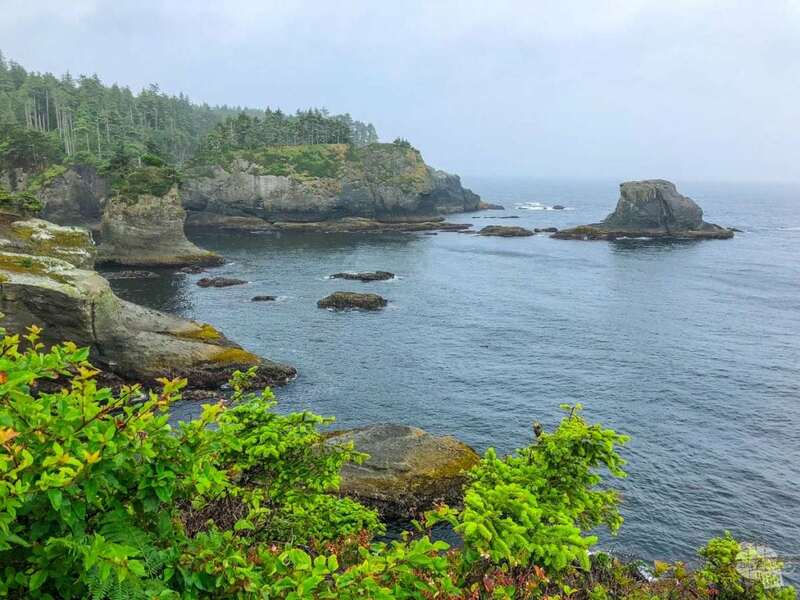 The rugged Pacific coast at Cape Flattery, the northwest corner of the contiguous US. The trail does have a fairly gentle slope to it, which is much more noticeable on the uphill return. My watch measured 300 feet of elevation change. Sadly, though maybe not surprisingly, the weather was rainy, cool and foggy the day we visited. We bundled up in our raincoats and waterproof shoes and made the best of it. Thankfully, the thick canopy helped to cover us a bit from the rain. As you can see, Olympic National Park has a lot to see and is very spread out. While the highlights of each part can be seen in a couple of hours, if you really want to see it all you’ll need a few days at least. Bonnie exploring a tidal pool. If you are willing to change your lodging daily you’ll be able to see a lot more since the various areas are spread out. If you can truly complete a loop and not have to back-track, you’ll save time. We spent three nights at Elwha Dam RV Park in Port Angeles and three nights at Forks 101 RV Park in Forks. The driving distances were not too bad on a daily basis, but definitely required a bit of backtracking. You can read our review of these campgrounds here. This itinerary kept us busy but also allowed us to get back to our campground for dinner each night. With only a day or two, I would try to at least get to Hurricane Ridge for the mountains, Kalaloch or Mora for the beach and tide pools and the Hoh Rain Forest. This would allow you to experience each of the different ecosystems. This park is big. And it is very spread out. That can make planning a bit overwhelming, especially if you are not familiar with the area at all. 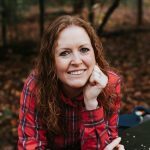 Here are some of my tips for a successful visit. One thing to understand is that outside of Port Angles and Forks, services are extremely limited. Make sure you have plenty of gas and take snacks with you. There truly just aren’t a lot of options in between the various parts of the park. Even the visitor centers have limited souvenirs, other than Hurricane Ridge. 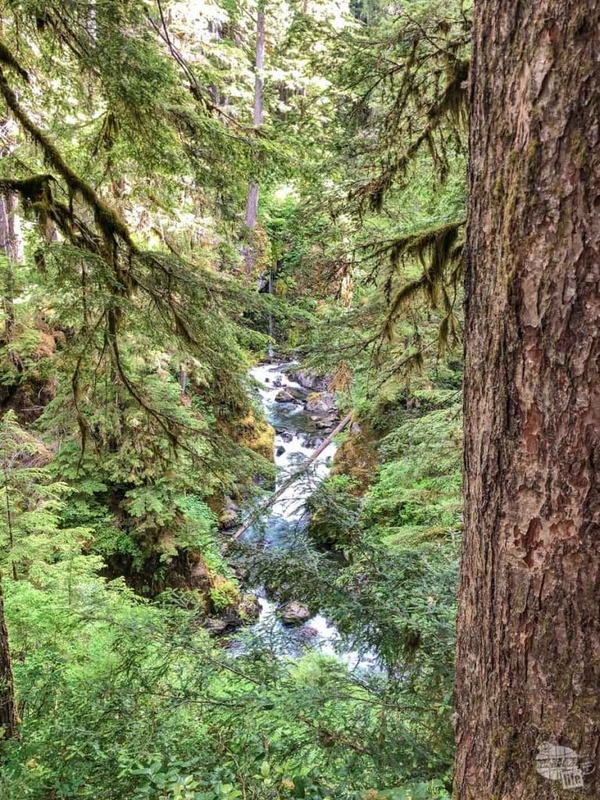 You probably already know that the weather in the Olympic Peninsula is often wet – especially in the rainforest! I was also surprised by the cool summer temperatures. Most of our days were in the 60s and 70s in early to mid-July. I definitely suggest taking waterproof shoes, a raincoat and layers. 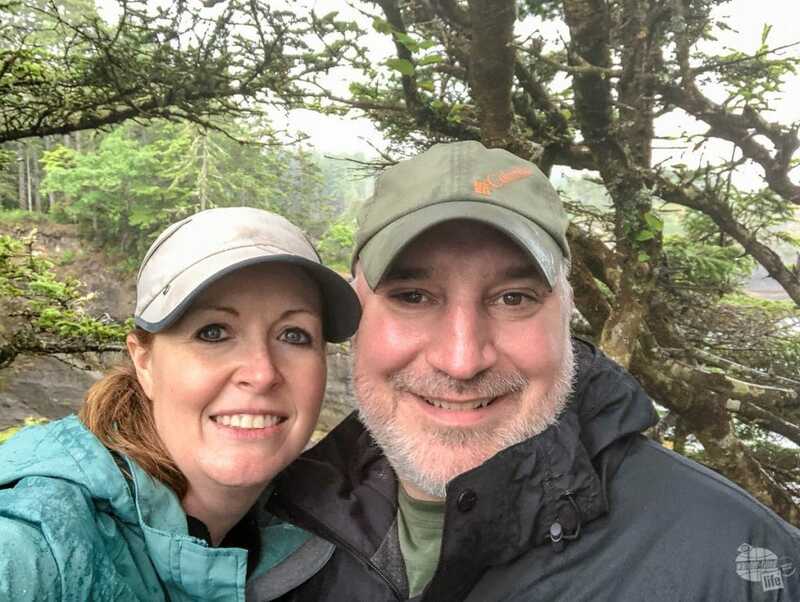 Cape Flattery selfie… We needed rain gear for this trail. As mentioned previously, know where to expect crowds in the summer. The most popular areas are Hurricane Ridge and Hoh Rain Forest. We experienced the backup first hand in both places. Arrive early in the day to beat the rush or be patient if arriving in the afternoon. I will say the rangers do a good job of monitoring the parking lots in both areas and controlling the access as best as possible. The best advice I can give is to schedule enough time to really see all the parts of the park. While each area is amazing, I think the true beauty of this park is its diversity. A short visit is certainly better than no visit but I’d rather have two jam-packed days than miss out of any of the fabulous landscapes here. We spent five full days here, though none of our days were too long or exhausting. If you are not doing a lot of hiking, you could probably see all the major sites in 3-4 days. We hiked more than 6 miles every day and we just focused on the relatively short, easy to moderate hikes. Even if you just stick to flat, easy nature trails, you could stay busy for several days. If you’re interested in overnight backpacking or looking for some serious elevation change, there are tons of options. 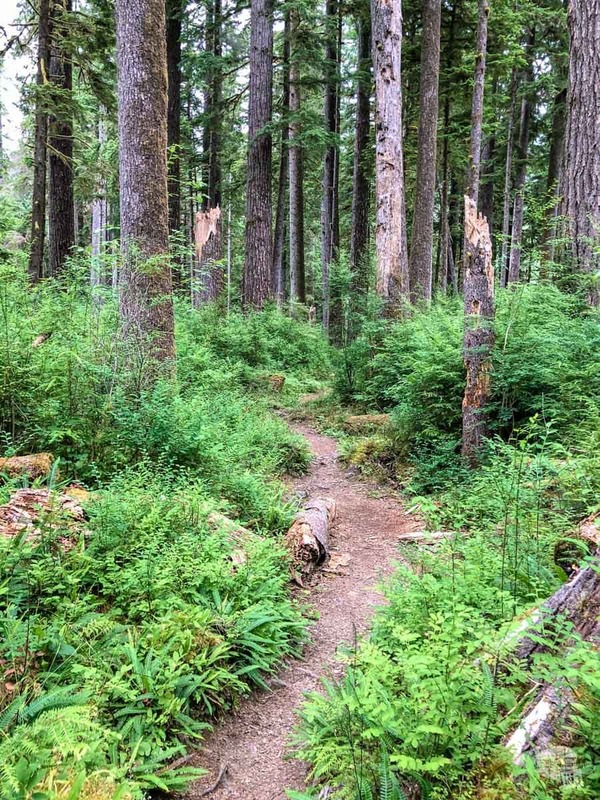 Considering 95% of Olympic NP is undeveloped, there is a lot of wilderness to explore. Bonnie jumping the creek crossing Rialto Beach. Regardless of your ability level and available time you are sure to find something. You’re already going to spend a good amount of time driving between the various areas of the park. And you’ll see some great sights along the way. If you really want to see the park, though, you’re going to have to get out of your car and stretch your legs – the best parts are not along the road. 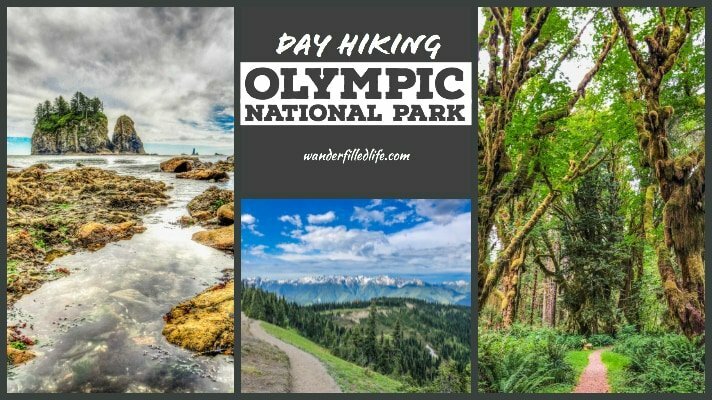 Regardless of where you stay, which areas you visit and how much you hike, I know that you will enjoy your visit to Olympic National Park. The varied landscapes offer picture-worthy views at nearly every turn. While the park is popular and crowded in certain areas, it is not nearly as crowded as Yellowstone or Yosemite. 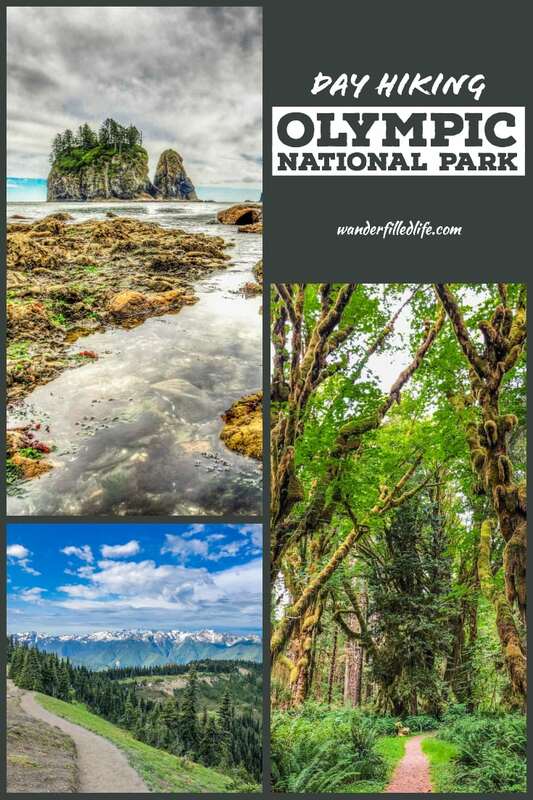 One last amazing feature of Olympic NP is its location. Within just a few hours of Seattle, it is an easy drive from a major city and international airport. 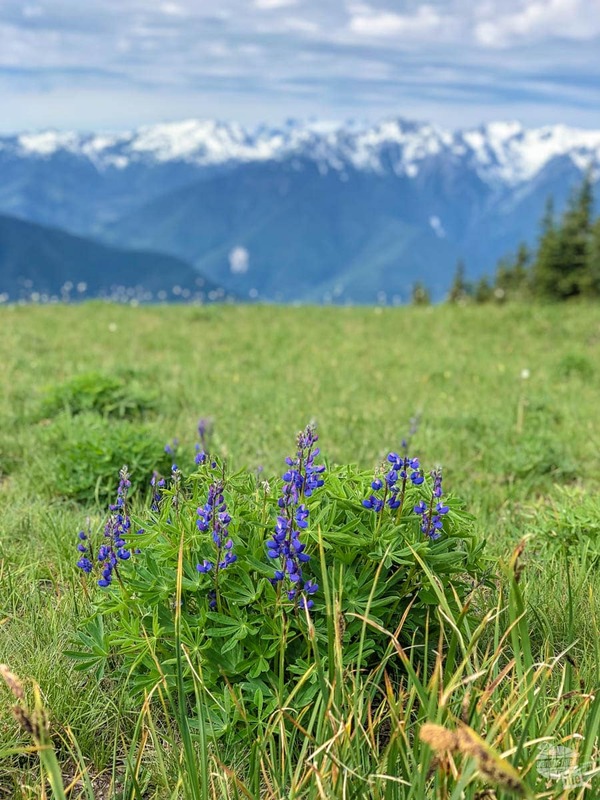 And for those with extended time, Mount Rainier and North Cascades National Parks are within a few hours and offer even more opportunities for outdoor fun and exploration.